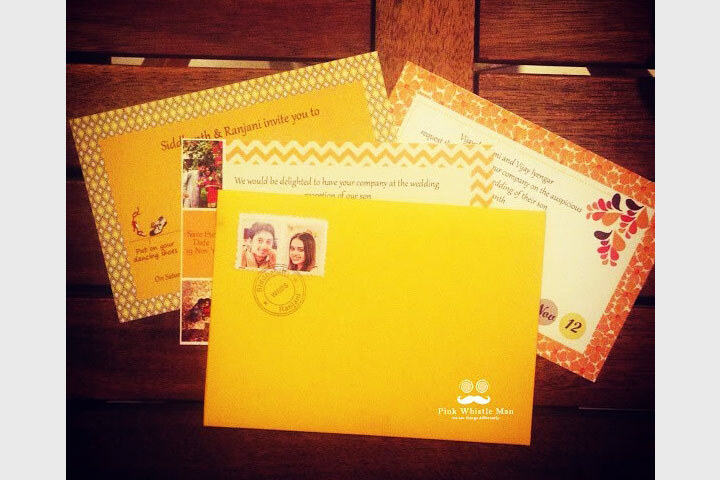 Home » Invitations & Stationary » 25 Wedding Card Designs Announcing Marriages In Style! 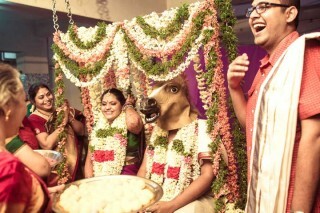 When all the preparations for the wedding are on their due course, no matter how perfectly done they might be, nothing beats the attention required by the wedding invites! The search for creative, innovative and thematically appropriate wedding card designs is a much more popular expedition now than ever before. This is not only with reference to how the weddings were announced in the past using a town-crier, or the other methods in the middle-ages, until print had to come along and save our lives! 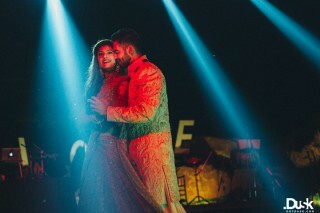 But now, the sheer range available in designs, themes, colours, formats, wording, customization, and much more, is a baffling journey undertaken by the wedding cards over time. 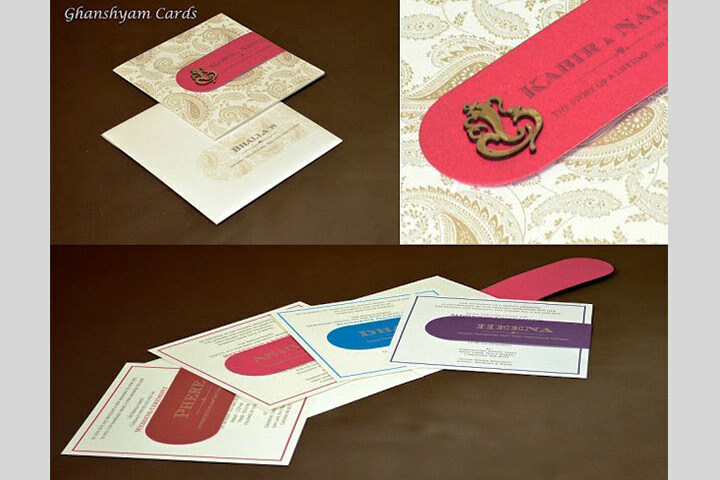 Different cultures have different pre-identified formats in which wedding cards are designed. 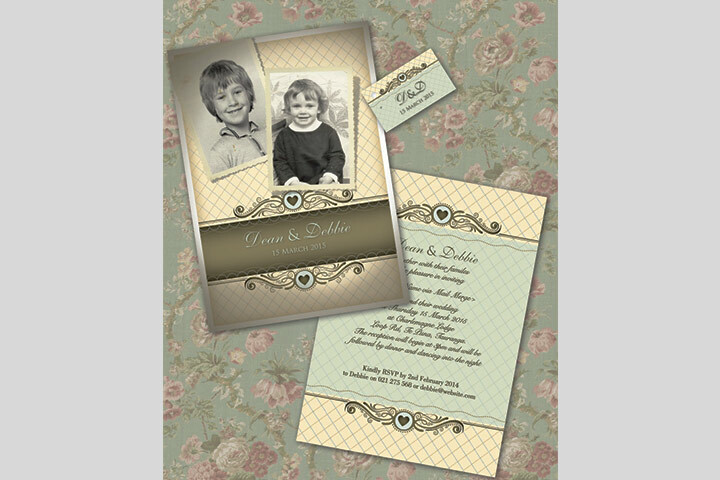 But today’s designers take this challenge to the next level by tweaking or playing around with the boundaries of generic wedding card layouts. 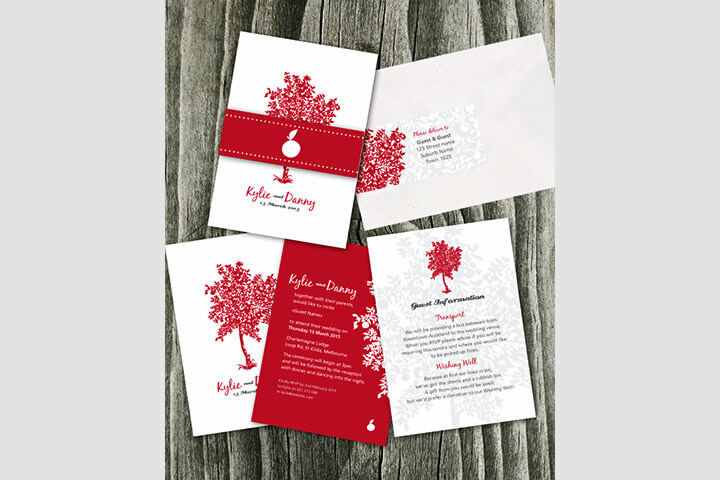 Wedding card designs are not just about who-what-when-where information booklet, but much more than that in the context of today’s weddings. 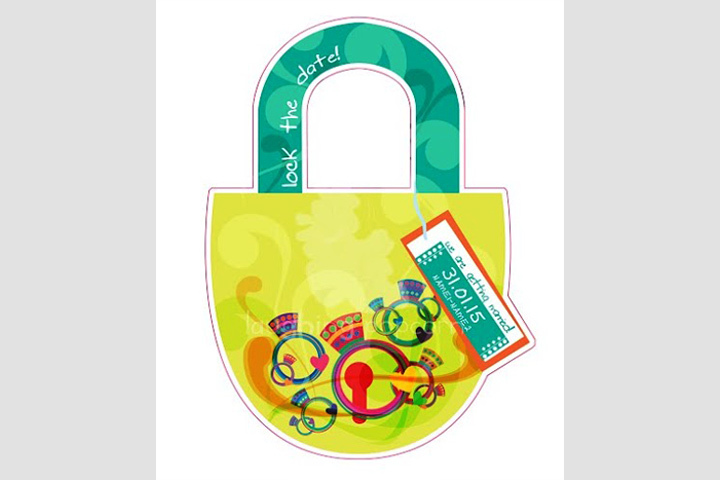 It is very much about providing all these information in a personal or zesty and sometimes in a creatively out-of-the-box fashion! The colours and other motifs chosen for the cover and envelope of the wedding card is best configured in accordance with the theme of the wedding or the kind of couple getting married, their interests or indeed any of the hundred other things that can make a wedding card that is as classy as royalty and sometimes as cute as a note passed around in the classroom! Here are 30 of the best wedding card design that you will ever lay your eyes on! Choose a design from these for a wedding that your guests will find very hard to refuse, even with a perfectly good excuse! Let’s start with something simple. Nothing speaks with more eloquence than simplicity. This classic wedding card design with curvaceous pink vines foregrounding the wordings in the card is more than apt for a graceful and classy layout. 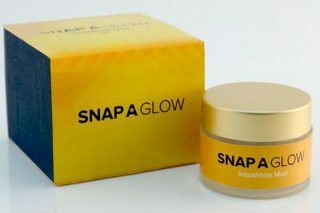 One can choose purple or even gold to replace the colours to keep up the royal elegance of this design and most importantly a good, nay, great font that will complement the design and rest well in a white background. The teal or turquoise flavoured circular damask is one with the grandeur of a neck-piece, or a tiara – honed and bold. Using the teal or turquoise in the names of the couple being wed, adds to the wedding format, like a spotlight on the real stars of the day! 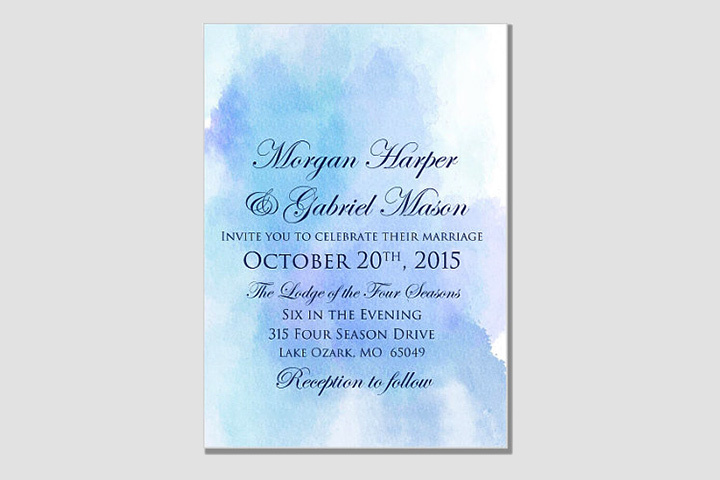 For artistically simple yet vocal wedding card design, you can opt for a watercolour wedding invitation. In such a design, here seen with a blue watercolour pattern, the words seem to rise from the water or coming through a chasm in the water background, or even like words forming in a clear spring sky! 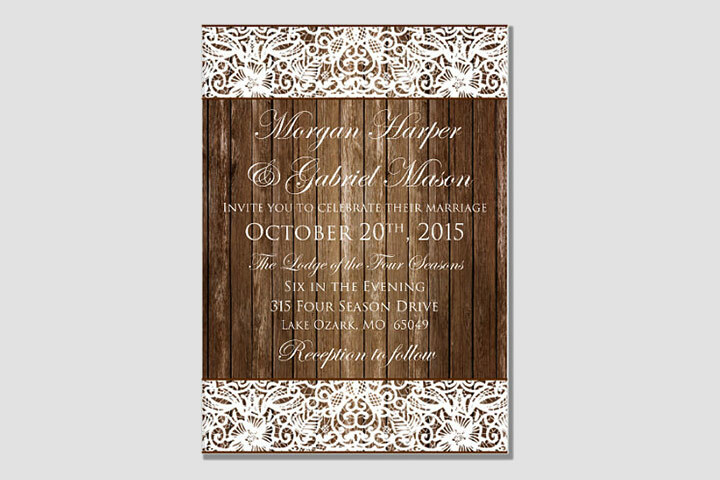 For a wedding invitation from the country chic section, you could use a wooden barn background with lace lining on the top and bottom of the layout – can you think of any better way to mix classy and country? 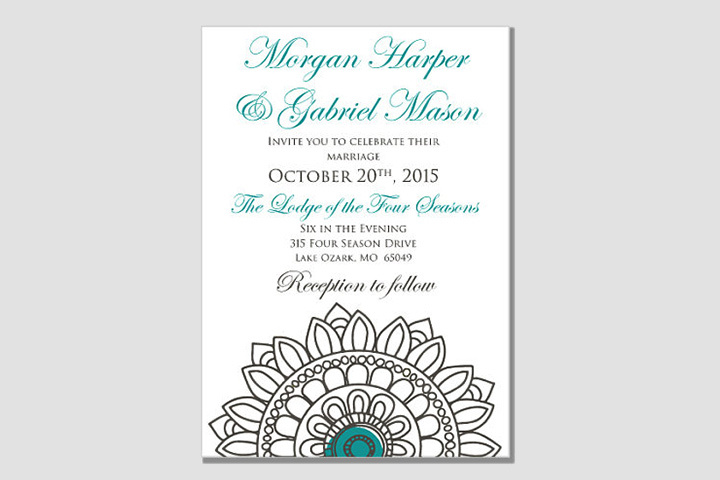 This invite layout speaks for a rustic wedding, complete by a traditional yet modern spin on the wedding theme! 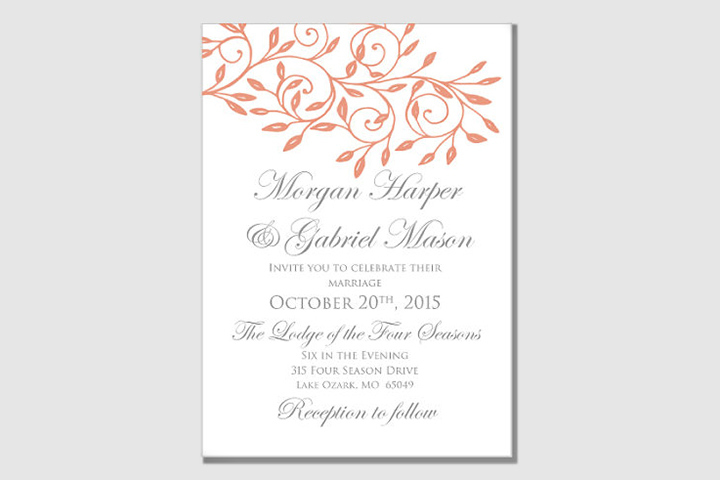 Spring wedding invitations are those that wedding planners call the “collector’s edition of wedding cards”! 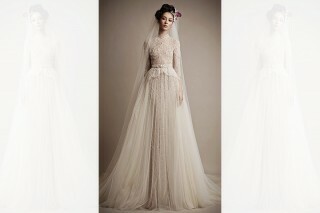 The reputation comes from not only stylistically being the harbingers of spring and a spring wedding, but also the hues and designs that they are available in. So what better emissary of spring than a watercoloured rose motif on a white background to announce a match that is truly made in heaven! 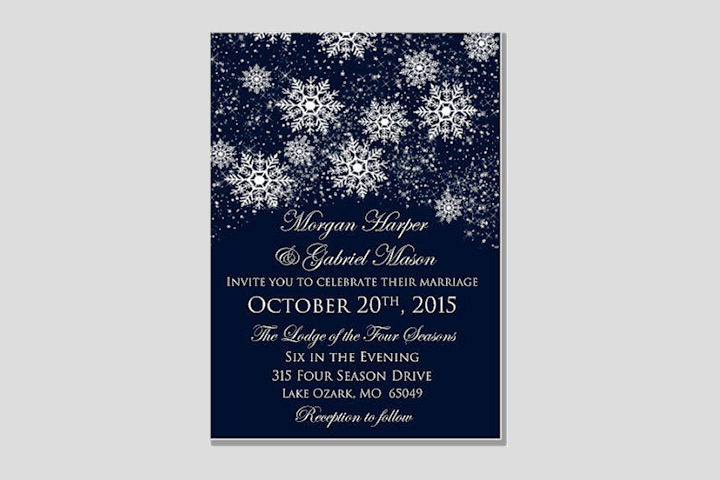 It is not just spring that hosts the classiest weddings of the year, so does winter! If you’re looking for a cosy wedding audience, standing near you as you declare your love and make a promise to spend the rest of your life with your partner, as the winter cold is kept at bay by the warmth of your loved ones around you, this is the very essence of a snowflake wedding card design to express the beauty of the wonderful season to be jolly and to announce the auspicious occasion of the union of true love! It is when they prove themselves true again and again that clichés are born. Which is why you understand me perfectly when I say ‘old is gold’! Nothing is more inviting than classic calligraphy, except for a calligraphy rose – blend the motif with grace into your wedding invitation where you won’t know where the motif ends and the words begin, and you have yourself a wedding invite smooth and delicious as fine Belgian chocolate! 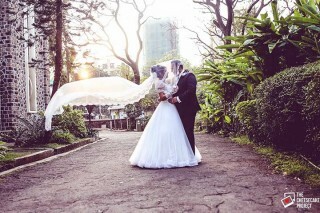 Are you a couple having a whimsical wedding and wondering what could perfectly capture your mode? Think no further. 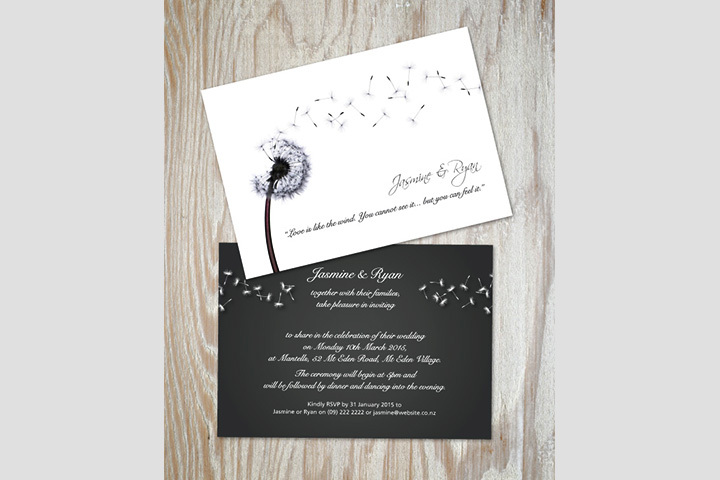 You have the dandelion motif wedding card design for a breezy yet cute and personal invite that one would have to be very cruel to refuse! 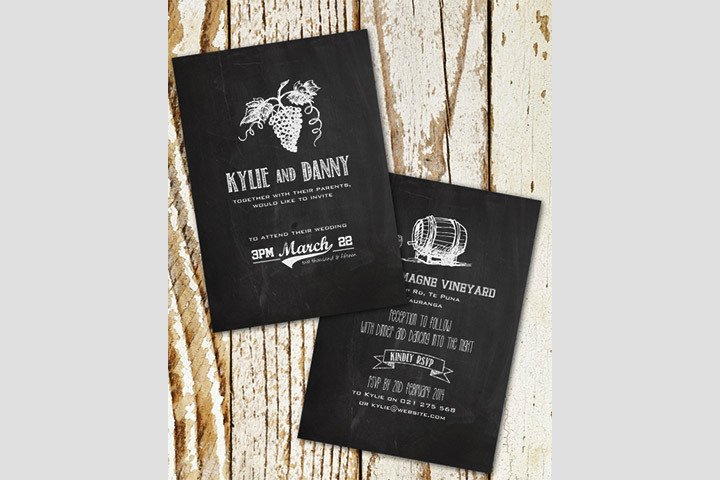 Nothing is more country, more nostalgic or classier than a vineyard chalkboard wedding invitation! For that rustic invite that paints a picture of the luscious bunch of grapes hanging about in a vast green vineyard and a huge wooden barrel that is promise of good wine, the vineyard chalkboard invitation is without a doubt the surest answer. If you want to show-off a destination wedding on the shores or a quiet gathering in a regular beach-side set-up with all the right attributes in the settings, then you would not mind a paua shaded wedding invite for your guests! One of the many oceanic treasures, the Paua mollusc has a very interesting shell with its rainbow hues that imparts the energy of the oceans. 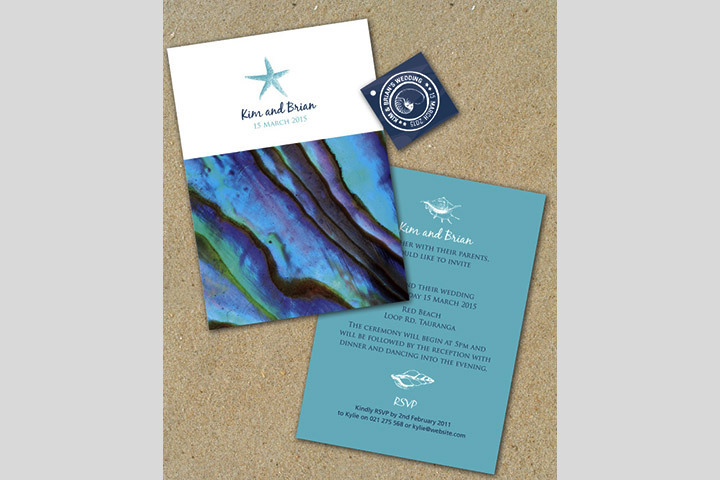 Therefore for a peaceful yet symbolically strong Paua motif wedding card design might just be what you were looking for to complete the ocean theme of your wedding profile! A simple peacock feather can speak volumes for a rich wedding! 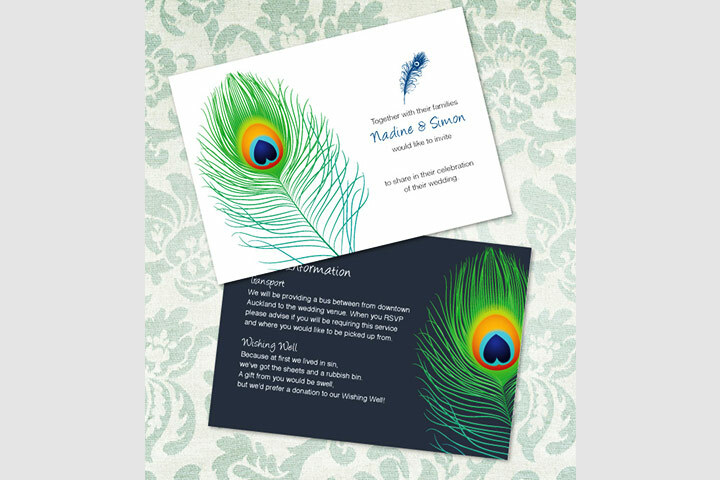 Go for a peacock motif wedding card design using the peacock feather as a synecdoche for the bird itself, for a minimally colourful invite with words that will not only use the space in which the motif is configured, but where the peacock feather motif is accentuated by the space around it. This is for your childhood sweetheart! Were you blessed to fall in love with your childhood friend with whom you grew up, growing your relationship down the road as well? Then you don’t have to think too much to choose this yesteryear wedding card template, to show the people you love how you this wedding is only another chapter in the journey you have already been walking on together! 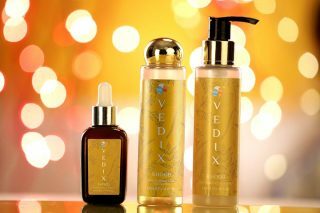 Buck up for some royalty coming your way! 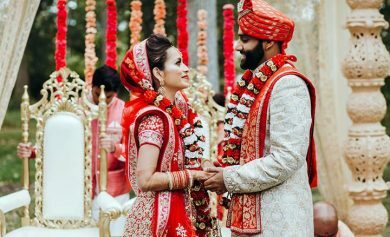 With certain themes in Hindu wedding settings, there is a distinct popularity and a certain proclivity for the royal wedding profile. 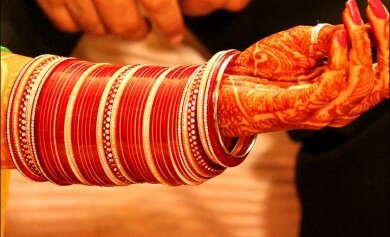 The choice of such a theme speaks of colours like velvet purple, dark red and gold, and royal blue of course. Therefore you know how a gold insignia with the couple’s initials, binding a gauze black ribbon over a royal blue wedding invite envelope, must look like! Yes. Gorgeous is the word. You know how important it is to do pooja to Ganpathy before anything auspicious happens, in the Hindu culture. 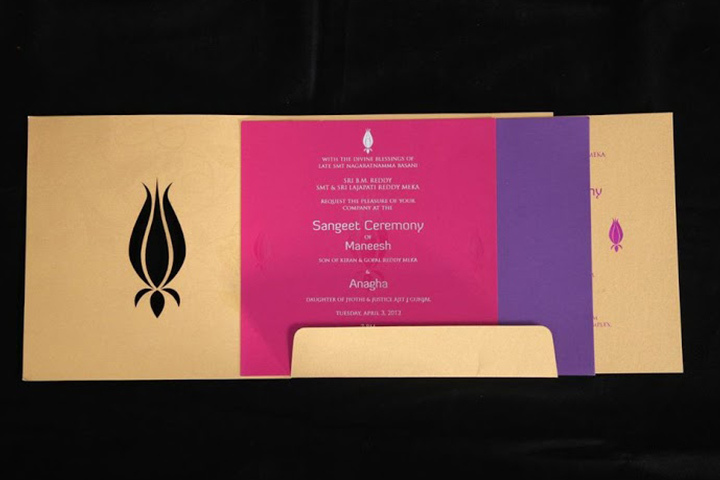 The Ganpathy motif is an inevitable one in Hindu wedding invitations, and is also one of the most innovated icons from the Hindu pantheon. 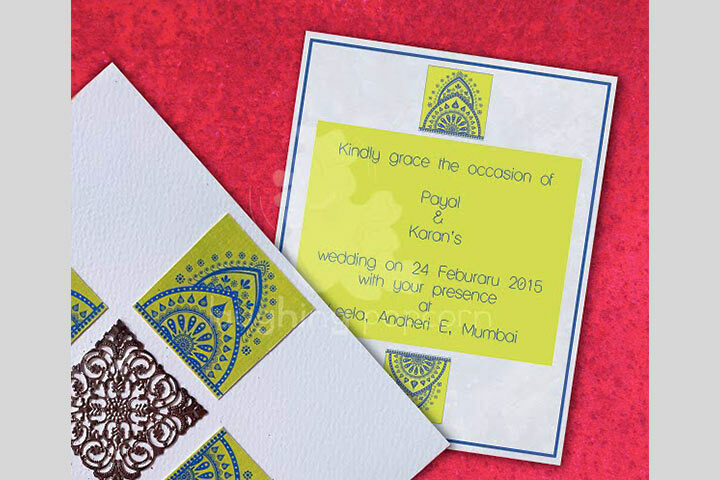 A clear Ganpathy symbol, as cut-out or embellishment, with paisley design in the background makes for a good wedding invitation that is traditional in taste. 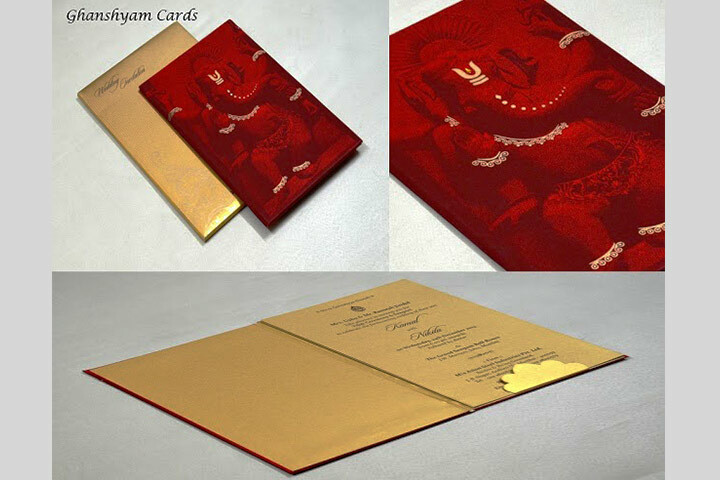 Ganpathy has taken various forms in Hindu wedding card invites, and one of the simplest and glorifying ways is a full portrait of the deity in red, with glitter embellishments for the wrists and feet added as a separate part of the design. This forms the cover enveloping a golden card where the invitation is addressed to the guest invited… classic with a royal gold and a red that’s bold! 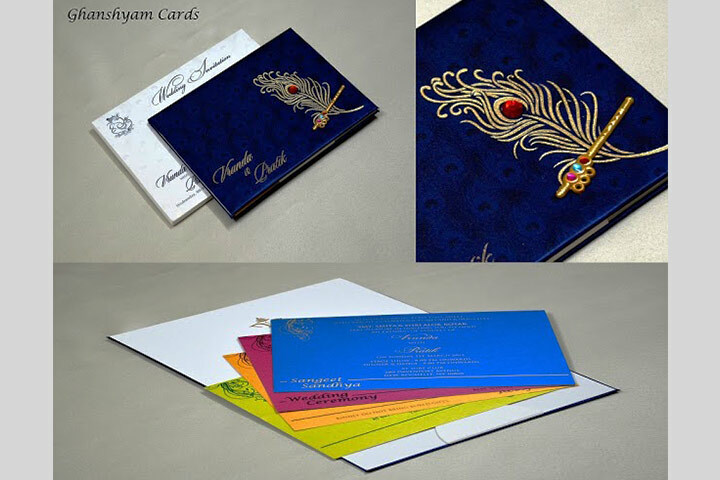 Booklet formats in wedding cards are now considered more fashionable, providing information about each of the rituals being held, both pre-wedding and post-wedding. 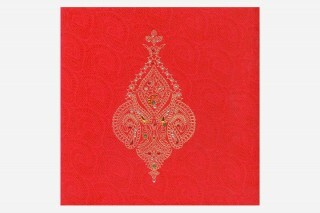 The peacock motif is more classical in a wedding invite, especially when a feather is done in gold on blue velvet, with stones embellishments and the iconic flute of Lord Krishna (with whom the peacock feather is associated with). The leaves of the booklet can pan out in colours one would associate with the rainbow colours reflected on the peacock feather. Neat, huh? 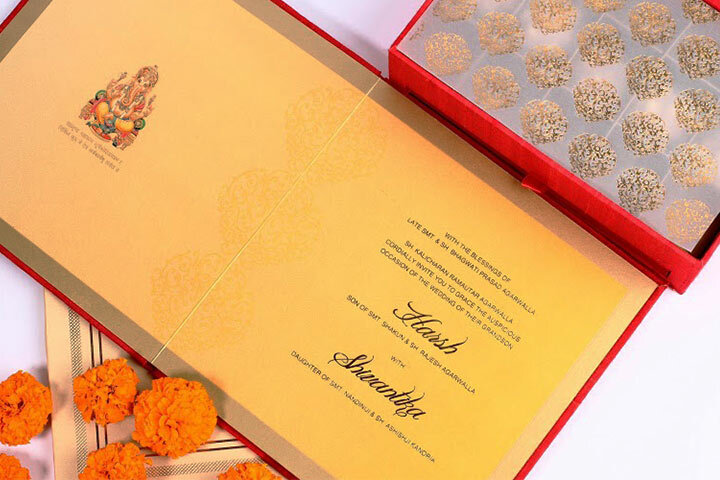 The traditional Hindu wedding card invite can be kept in its full form for a classic greeting that one will definitely encounter the Divine with. A minimal yet complete image of the elephant-headed deity on the left and a vast expanse of wheatish golden, where the words of invitation are transcribed with finesse and grandeur, should definitely fit the bill for a gracefully traditional Hindu wedding invitation. I am definitely a believer of the fact that colours can speak, with greater eloquence than words. Sometimes the right wedding card that reflects the theme of a wedding that shouts royal splendour with decorously dignified can do away with all these lofty words and just say it all in the right colours. 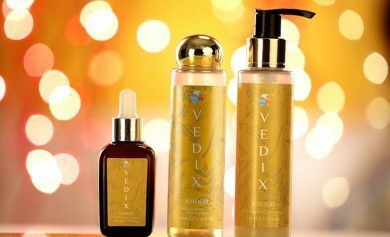 The simple sandalwood background with a tulip-inspired motif, where the worded card is composed of hues that spell out regal, should elucidate the example we have been talking about. Pattern cut-outs and lattices for adornment of the card are only some of the many ingredients that go into a DIY Indian wedding card design! You can use simple colours and other paper accessories like stone and glitter embellishments to bling it up with sass, or use the colours and textures of the paper and lattices and lace etc, to keep it elegant. 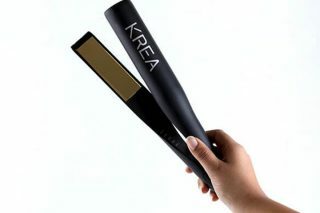 It makes for a very personal call out to your guests, and will warm them up like a good sip of fine whisky! If you’re all set to show what luxury is to your guests then make sure it’s a ‘full house’! 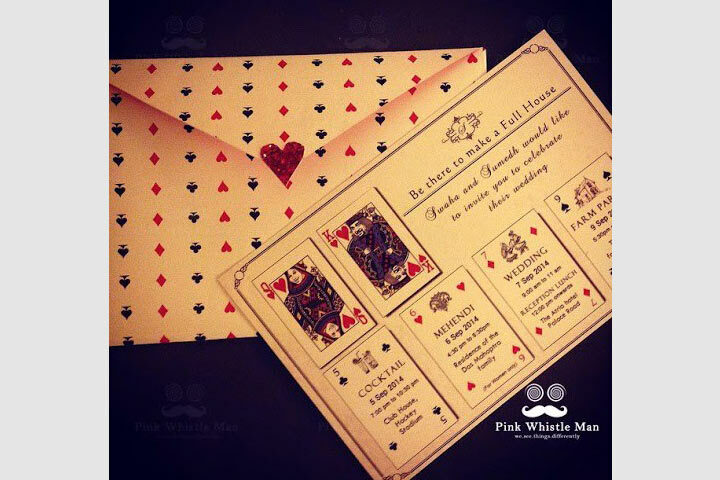 These playing cards themed wedding invitations sure speak of a twist in the ordinary. 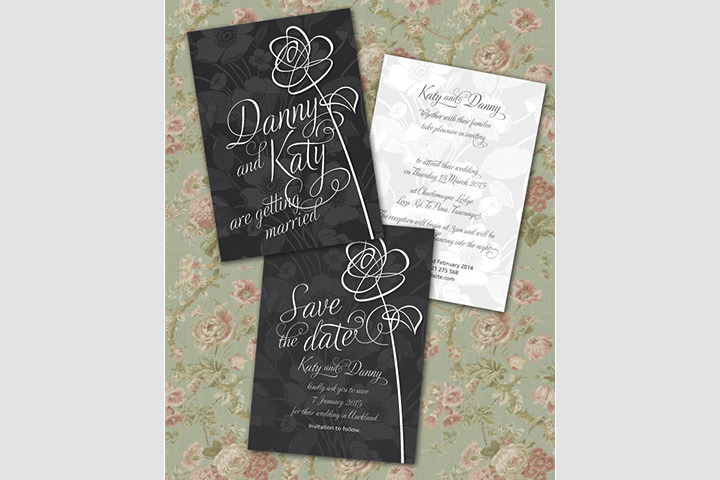 This type of a design layout adds playfulness to the attitude offered by the wedding theme and speaks more than words about the individuals about to be united. May you have a long and lovely married life, and never stop playing, I of course will not tell you what game it is that is involved here! We all love letters! If you don’t send one out very often (you should really do it… you have no idea how happy it makes people when they get a postcard from you!) you’ll still understand the nostalgia that postcards and postal mail have to offer. They are captured thoughts from a moment in life, which are saved in words forever. 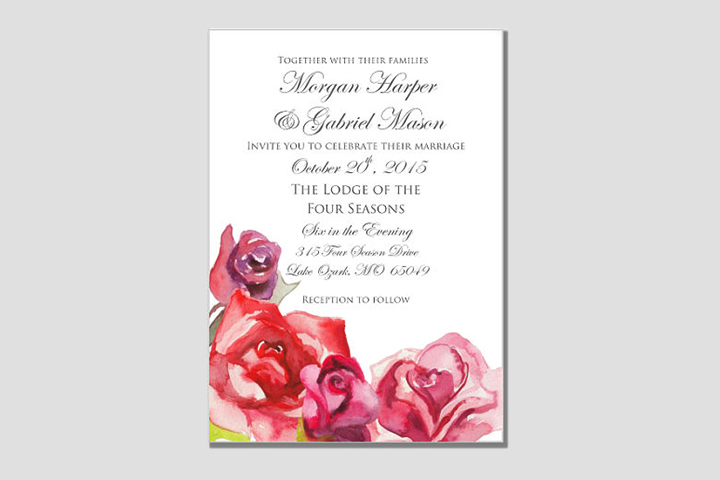 You can add this nostalgia to your wedding invitation by choosing a postal themed wedding invite with the stamp-sized images of the couple with the postal seal, which will pretty much seal the deal, as it were. Here’s a fun one. 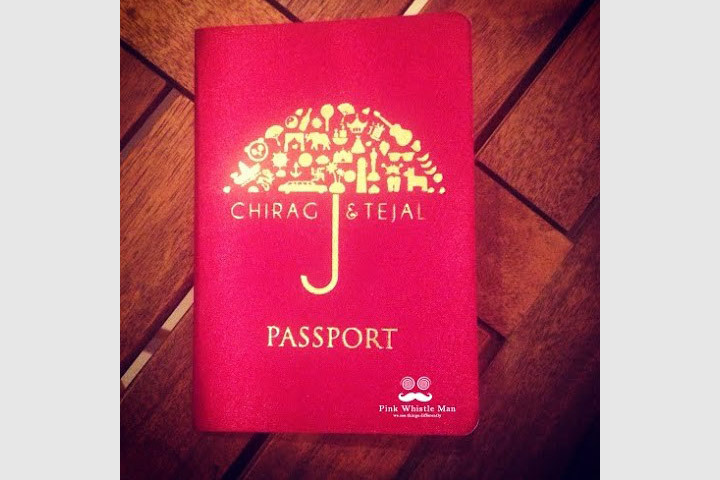 How about a passport inspired wedding card design? Yes, I meant passport! This gorgeous little passport booklet with the gold embossed names of the couple rest under a lovely gold umbrella, makes for an amazing wedding card invite that not only is quirky but also a souvenir for the guests who come to such an epic wedding! If you’ve seen Up (2009), you would remember what the journey of life and true love really means! And no one can forget the balloons! If you can’t wait to begin your new adventure with your partner and can’t wait for your loved ones to join you, then why wait? 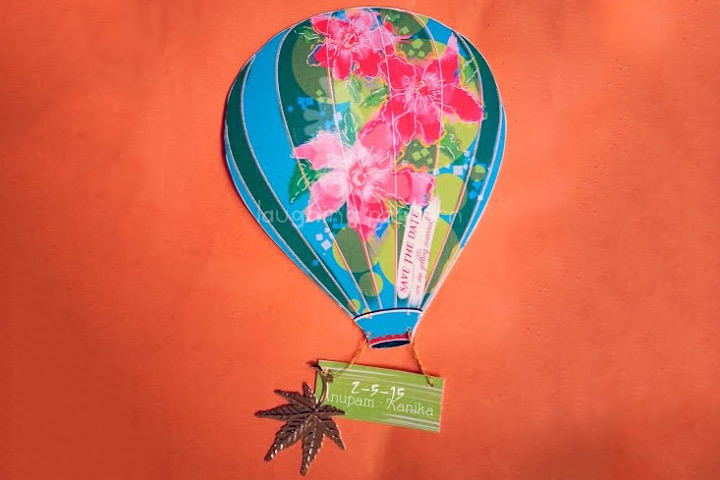 Pick the hot-air balloon wedding card invite design to share some adrenaline with your guests! 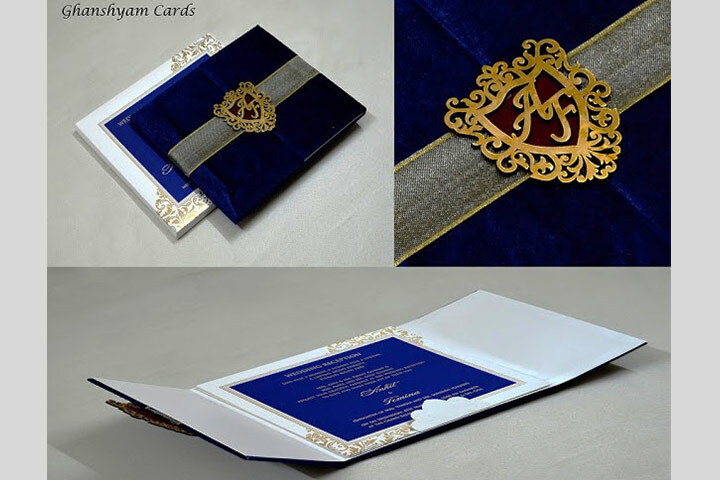 10 Wedding Card Designs That Show Chennai Can Express!